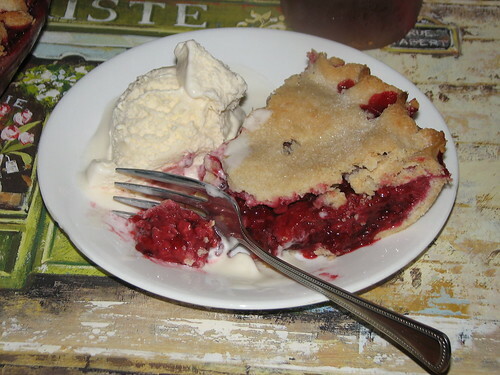 For one pie: 6 cups raspberries Or peaches or apples or blackberries, etc…the sugar mixture works for all of them. 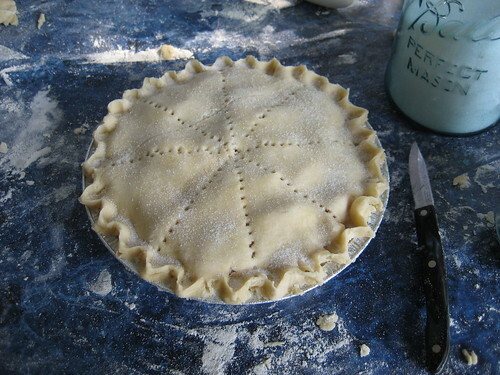 I do add a little freshly grated nutmeg to peach pie. Mix the following dry ingredients together, then add it to the shortening mixture, stirring just till well blended. 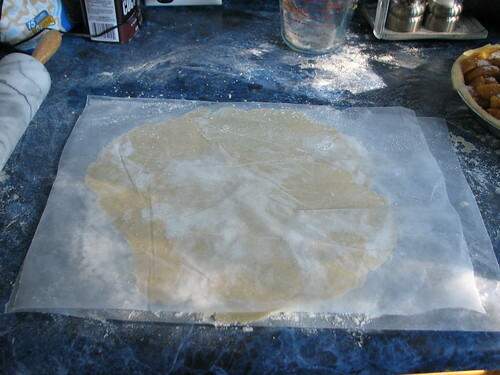 Allow to sit for a few minutes so the flour can be absorbed. 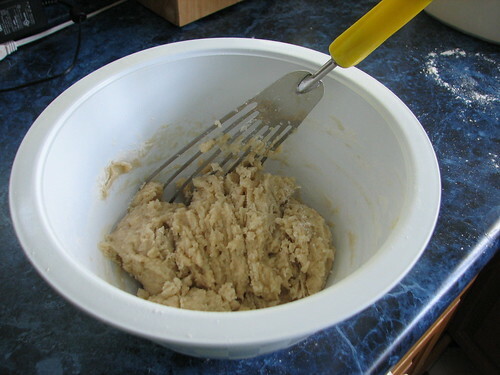 Note the tool I use for blending the shortening/water and for mixing in the flour. Works great! It’s also DH’s preferred fudge tool, though he’s using a different, yet similar, one in the link. Knead with your hands just until it holds together. The longer you knead it, the tougher it becomes. Form into four balls and pat each into a flattened round. 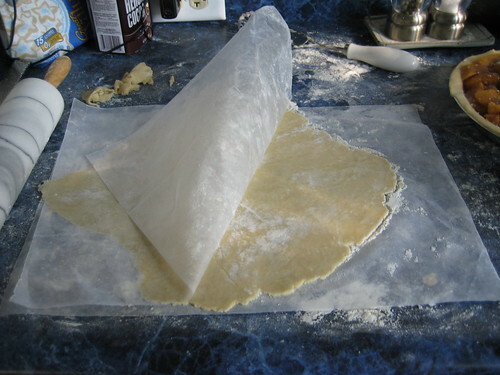 Roll between two pieces of floured waxed paper or parchment paper. Remove the top piece of waxed paper. 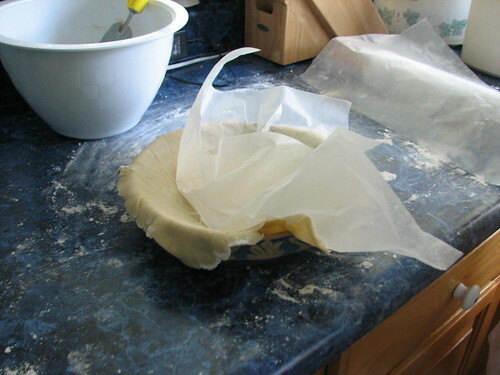 Slide your hand under the bottom piece of waxed paper, with the pie dough still on it, and flip it over into your pie plate. When it is positioned where you want it, remove the second piece of waxed paper. Trim the edge of the pie crust. 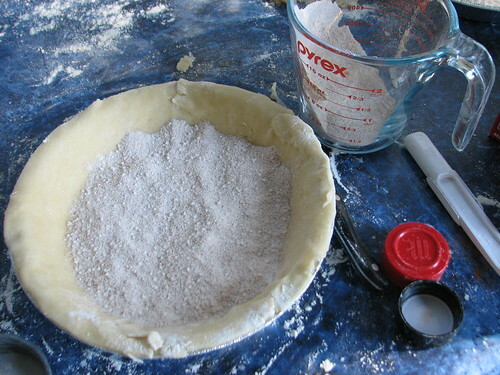 Pour enough of the sugar mixture into the pastry lined pie plate to cover the bottom of the pie plate. 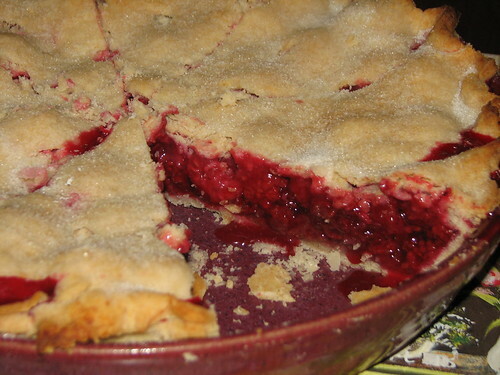 Pour half the fruit into the pie plate. Sprinkle half the remaining sugar mixture over the fruit. Repeat with remaining fruit and remaining sugar mixture. 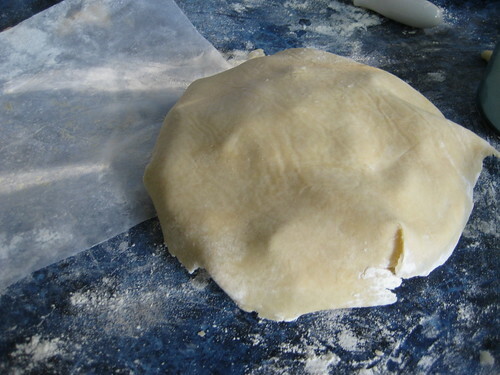 Cover with another piece of rolled pie crust. Bake at 425*F for 15 minutes, then at 325*F for an additional thirty minutes. 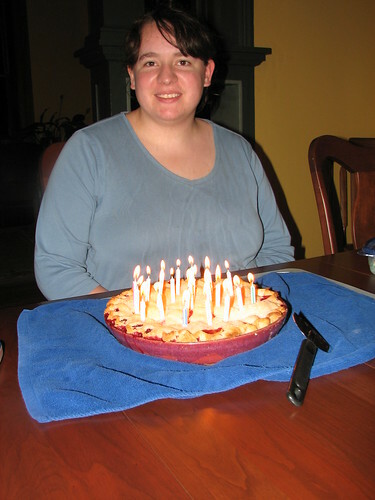 This entry was written by ~~Rhonda, posted on July 9, 2010 at 12:20 pm, filed under cooking. Bookmark the permalink. Follow any comments here with the RSS feed for this post. Post a comment or leave a trackback: Trackback URL. That was an international birthday ! 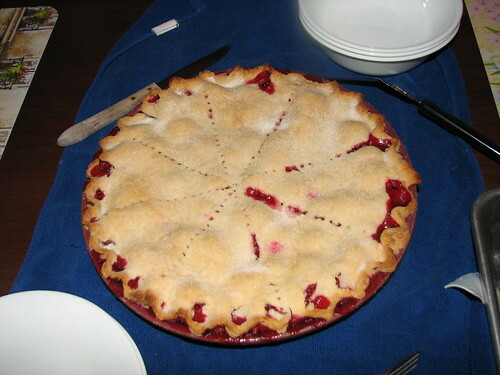 Your pie and your flag cake look GREAT !Beautiful crust on the pie! Genny, did you make the pie?